“It’s the great unknown of this industry,” Scott Petty, Vodafone UK CTO, says of 5G smartphones. While operators in the US and Asia vie to be the first to launch a commercial network later this year, the first smartphones, complete with new chipsets and batter management capabilities, won’t be available until mid-2019. And no one knows what form they will take. It’s this uncertainty that means Vodafone is relaxed about a possible 2020 UK launch date and is more excited about how 5G will change its network – at least for now. It acknowledges 5G is a buzzword, but believes this shouldn’t detract from its ability to be a “gamechanger” for the mobile industry. Petty shares the conventional wisdom that 5G will enable revolutionary new applications thanks to its ultrafast speeds, enhanced capacity and ultra-low latency, but also cautions that when the first 3G networks were being built and 4G was being standardised, it was impossible to foresee the impact that smartphones would have. Early 5G networks will use new radio technologies but still connect to the same core network as 4G. This will mean faster mobile broadband speeds, but the truly transformational aspects will rely on a rethinking of how core networks are built. 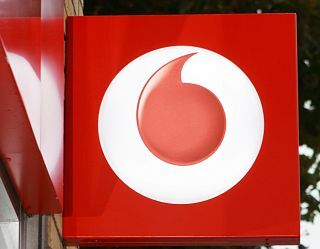 Vodafone is already preparing its infrastructure by converging it’s mobile and fixed network teams into a single unit. The ‘Redstream’ platform makes use of Vodafone’s own fibre assets, meaning it has advantages over other operators which are more reliant on Openreach’s network. There have been other long-term projects too. Vodafone’s 4G network is now available to 98 per cent of the UK population (although it trails EE’s geographic coverage) while it’s voice service is available to 94 per cent of the country – a figure it claims is more than any other operator. Coverage has been boosted by a long-term partnership with O2 called Cornerstone. It’s ‘Project Beacon’ saw O2 and Vodafone divide the country and the capital into two halves, with each operator responsible for one portion and both sharing the infrastructure. “The network share with Telefonica has enabled us to roll out at quite a pace and deliver a lot of synergies,” adds Prigg. However London has since been excluded from this arrangement. Previously, O2 was responsible for North London, while Vodafone covered the South. Now, each firm will rollout their own infrastructure across the capital. London is a priority for Vodafone given its strong business customer base, and the firm is also conducting tests on the London Underground, specifically the Waterloo & City line. It’s also been rolling out low level spectrum to boost coverage. Vodafone won the most 3.4GHz spectrum at the recent Ofcom auction, but acknowledges it will need more to deliver a quality 5G service. But the 3.4GHz airwaves will be suitable for the initial rollout of 5G, which will likely take place in a few cities in 2020. Scott believes adoption will be similar to 4G but with a crucial difference – it will be the Internet of Things (IoT) rather than smartphones that will be the driver. Given the fact that smartphone growth is declining, and sales actually fell for the first time earlier this year, Scott might be right. But he also guards that prediction by claiming that different operators will have differing definitions of 5G.